This week’s post is a slightly revised version of remarks given by Beth M. Whittaker, Associate Dean for Distinctive Collections and Director of Spencer Research Library, at the library’s fiftieth anniversary celebration on November 8th. November 8, 2018. Photograph by LeAnn Meyer. Click image to enlarge. 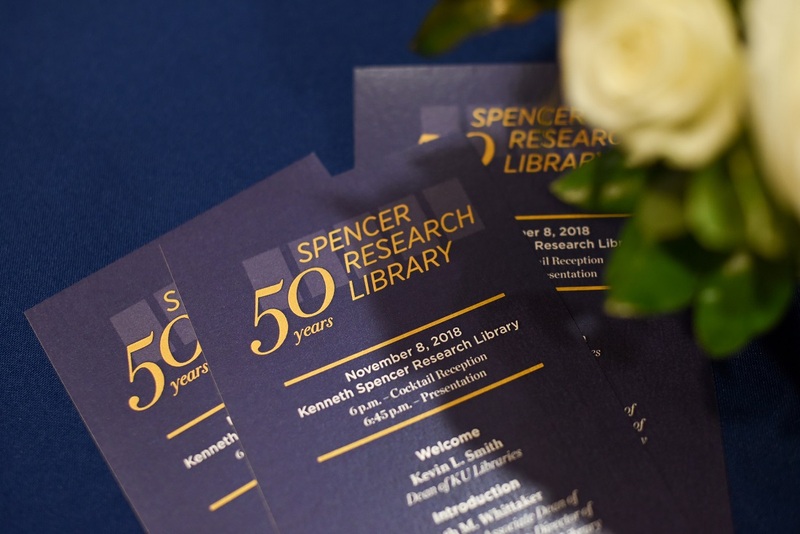 It was not long after I returned to Kansas that I realized that the 50th anniversary of Spencer Research Library was impending; it seemed a long way off and we spent a lot of time thinking about how we would mark this occasion. Looking back at the many celebrations Spencer has commemorated, there were so many possible ways to go. 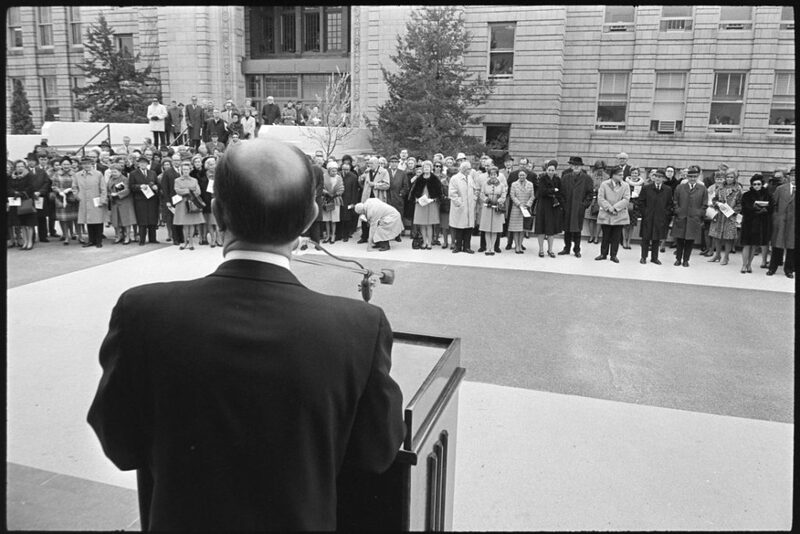 The dedication of the building in 1968 was an august affair. 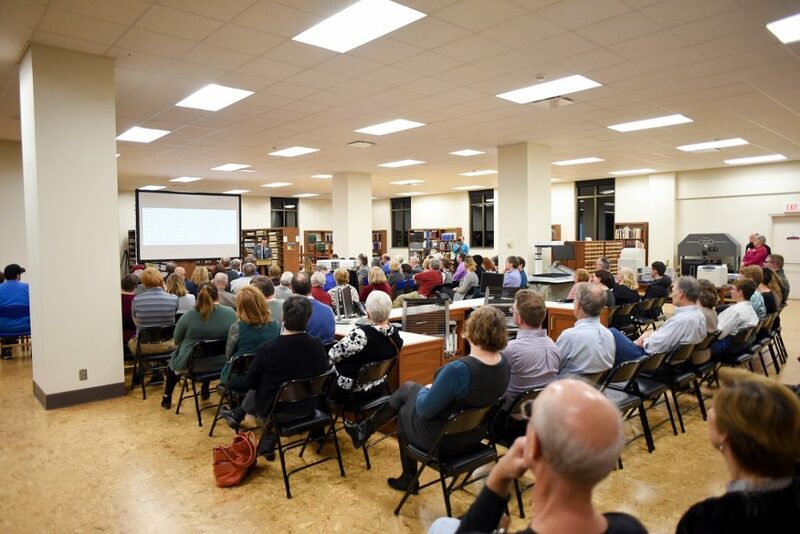 Lord C. P. Snow spoke on the topic of “Kinds of Excellence” and if you’re interested you can read the remarks recently added to KU’s Scholar Works repository. 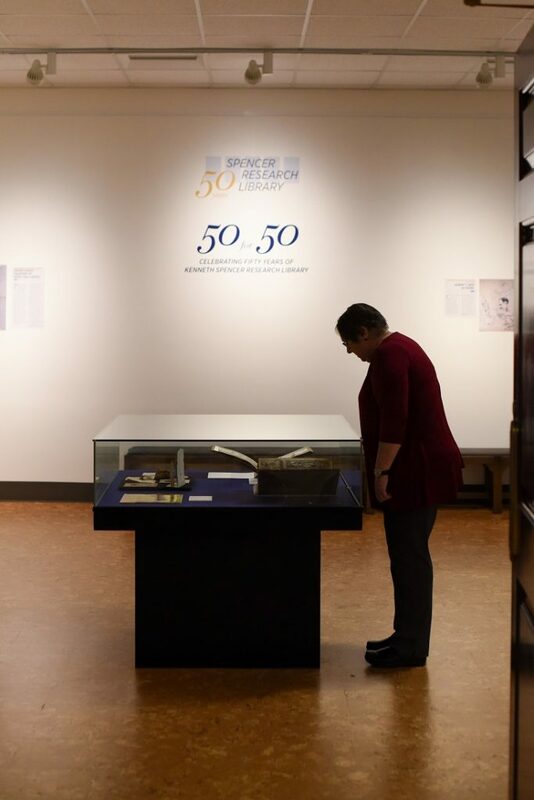 The 25th anniversary included a signature exhibit and catalog that we still reference today; other anniversaries have come and gone more quietly, many of them witnessed by people still here with us. 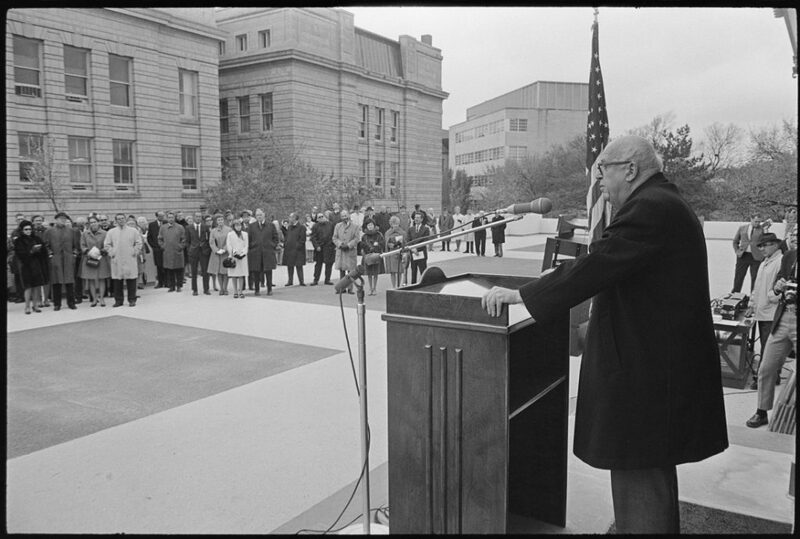 fiftieth anniversary celebration, November 8, 2018. Photograph by LeAnn Meyer. Click image to enlarge. But what we really wanted to do for an exhibit was not to talk about the collections ourselves, as we so often do, but to get the stories from people who had used them for study or research. 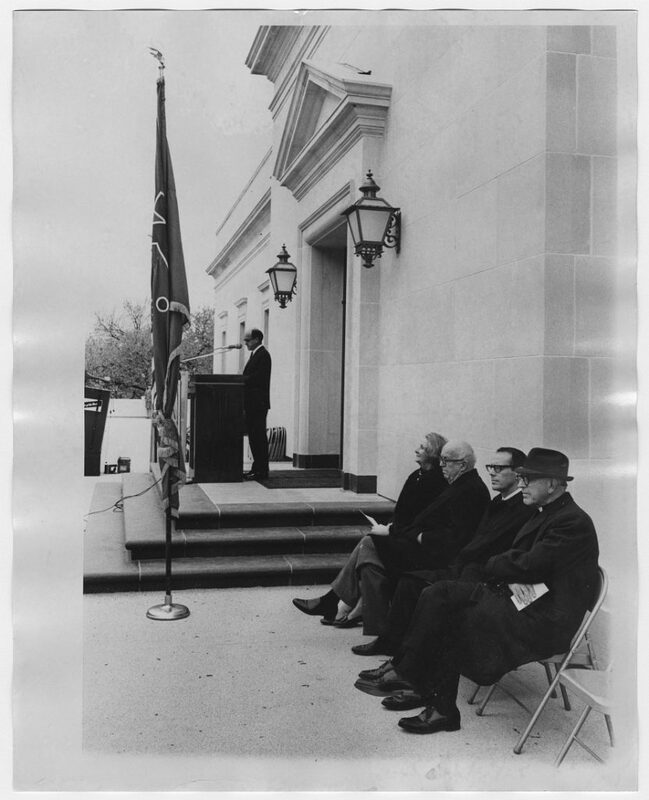 That, after all, is why we are here, and why this building has stood for fifty years and will stand for the future. Many of our friends and supporters answered our call, and the exhibit currently on display is the result. 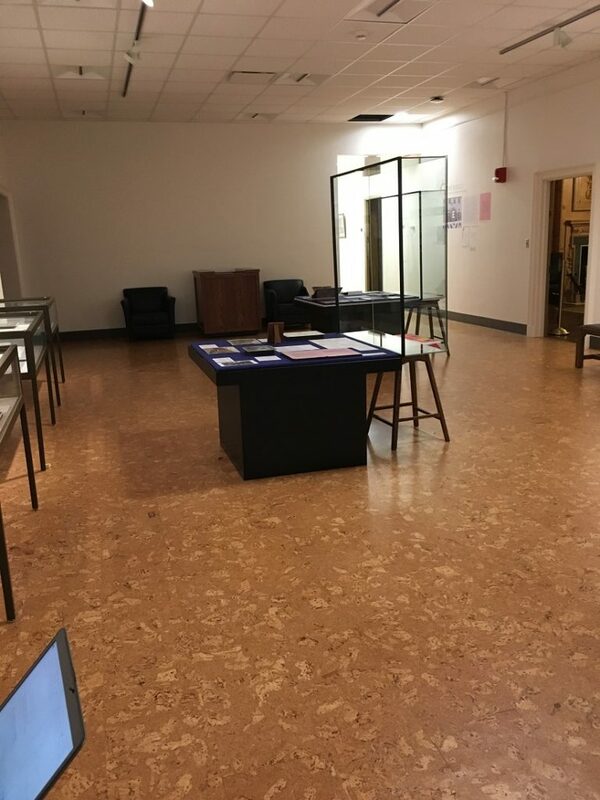 Although the word has become watered down by trendiness, this exhibit is actually “curated” by everyone who submitted a suggestion, took a walk down memory lane, or sent an email, and it is a reflection of the value of these items and these collections. It will live on in the gorgeous exhibit book we produced which is also available electronically. It is my hope that this exhibit stands the test of time for another fifty years. Of course, this exhibit is not the whole story of the golden anniversary of the library. 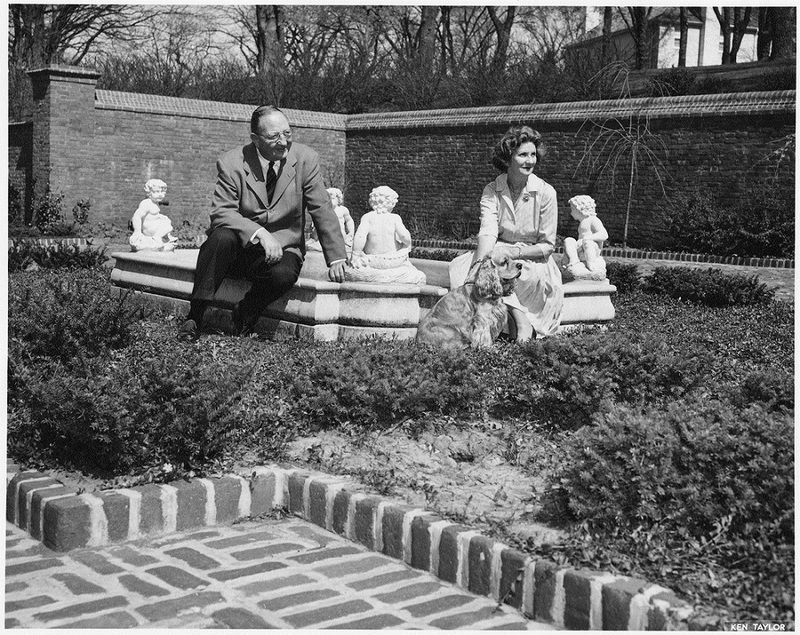 On February 7, 2019 we will celebrate our next exhibit “Meet the Spencers: A Marriage of Arts and Sciences,” which will focus on this extraordinary couple and their philanthropy across the region. Please mark your calendars and plan to join us. For a sneak peek at the kind photographs and correspondence that will help shape this exhibit, make sure to check out the small exhibit cases on either entrance of the North Gallery on your next visit. Every time my students and I come to the Spencer Research Library, we have a transformative moment. Eyes light up, hands reach out gently, smiles spread across faces. This has been happening for fifty years, and will continue. However, some things HAVE changed. New collections have sprung up and grown; new formats have emerged to convey information; researchers have asked new questions of our materials; and new classes have come through our doors. 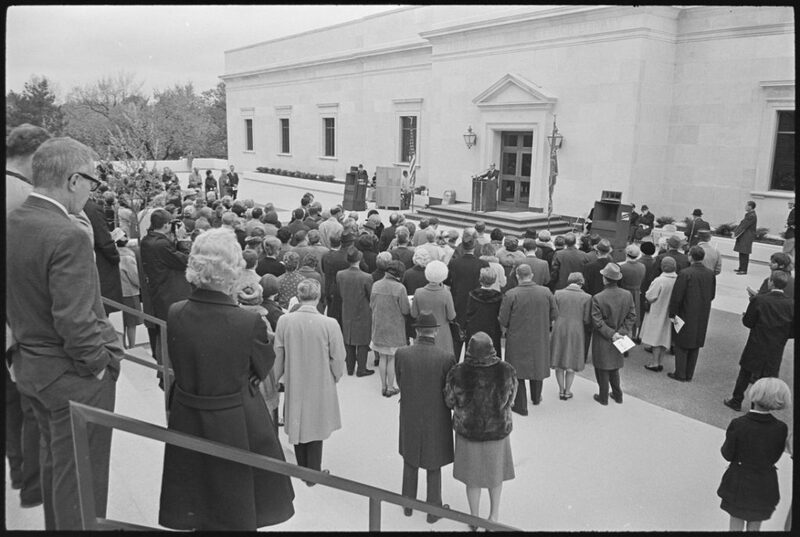 If we had asked the attendees of the dedication in 1968 what the research library would look like in 2018, I doubt any of them would have come close to predicting this future. The building itself, of course, has also changed. 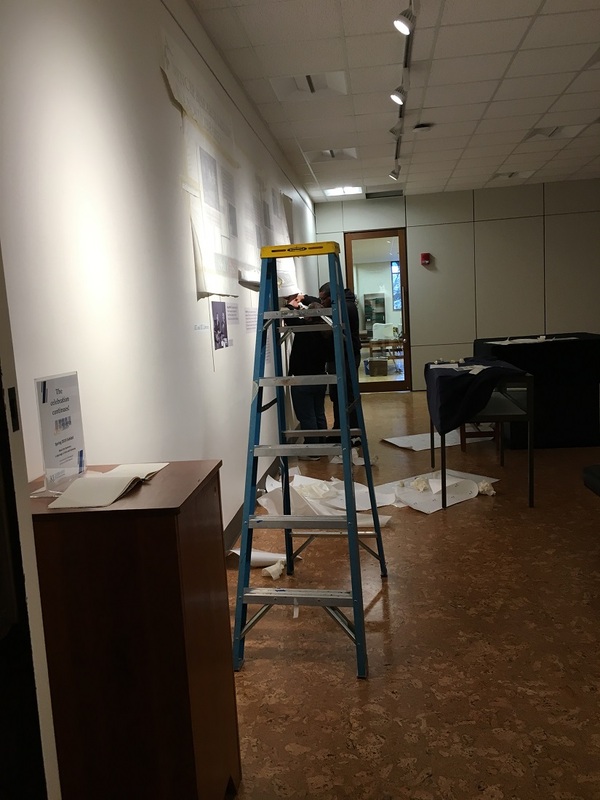 Those of you who have been here before know that my passion for this building includes always looking for ways to make it better, so we looked at the 50th anniversary as a chance to do some “touch-ups” after years of significant renovation projects. After the creation of the Stokstad Reading room and the exhibit space that currently houses “50 for 50”; renovation to work spaces that make cataloging, digitization, and conservation easier and more efficient; and most significantly and gloriously, the renovation of the North Gallery, the 50th gave us an excuse to do things like freshen the classrooms, install new technology, and reupholster Mrs. Spencer’s specially selected furniture. Through it all, we have tried to honor the style and inspiration that Helen Spencer brought to the building. 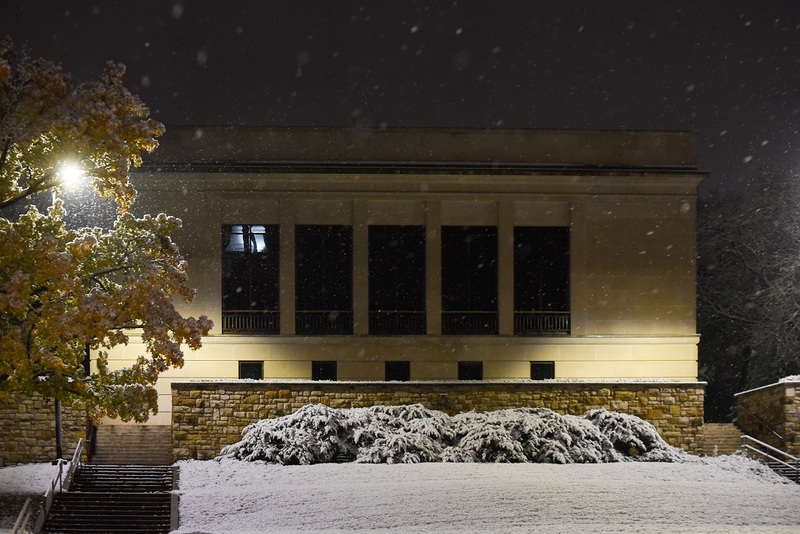 She did not want a “museum or a mausoleum.” She wanted this library it to be a useful and workable addition to academic life, and as that academic life has changed, so have we. We have also used the occasion of the 50th anniversary to tackle some programmatic needs. 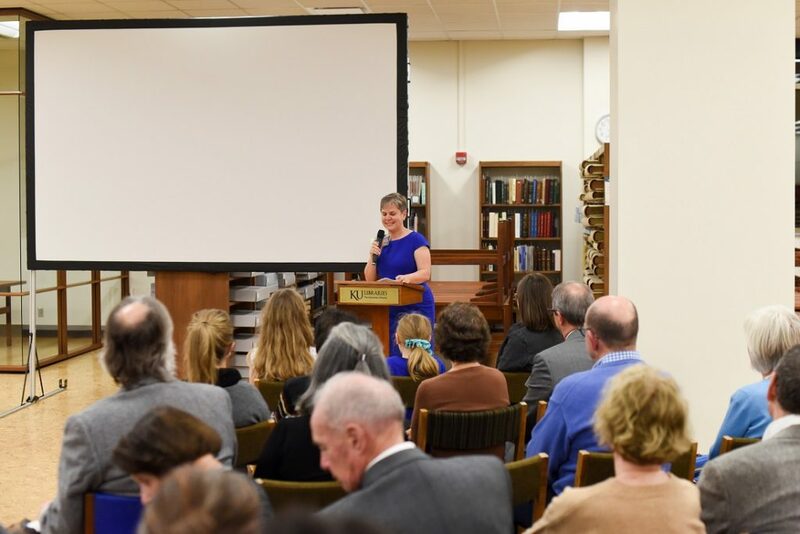 Thanks to generous donors, our research grant program has been reinvigorated and we offer three grant programs to bring people to Lawrence to use our collections. 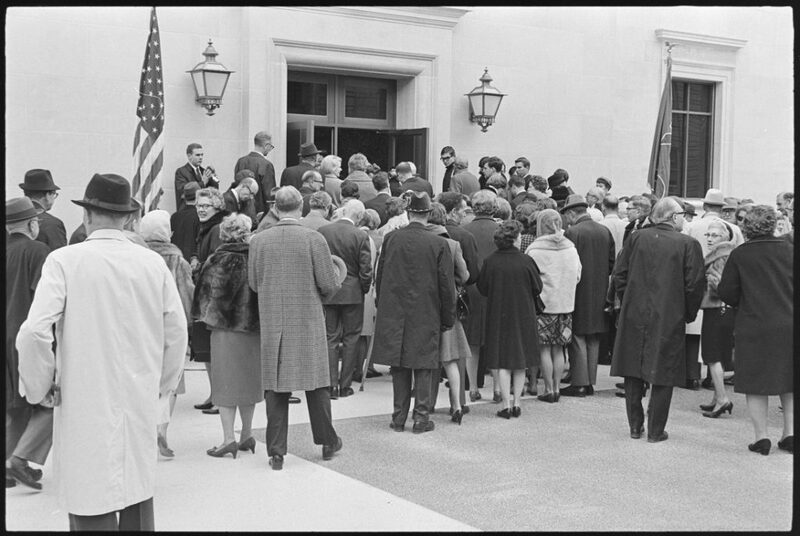 In time for the 50th we instituted regular drop-in, staff-guided tours. If you haven’t yet come to one of our Friday afternoon tours, please do so and spread the word. We have kept busy. This exhibit and our celebration on November 8th kept us even busier. I need to give my thanks to the exhibit team, who worked with me to refine my wild idea and shape it into something magical: Sherry Williams, Angela Andres, Meredith Huff, and Mary Ann Baker. My colleagues in Spencer Public Services: Caitlin Klepper, Kathy Lafferty, Stacey Wiens, and the indomitable Meredith Huff and Emily Beran, who may finally be able to get back to their primary responsibilities without me interrupting them constantly with “50th” ideas and concerns. Librarians and archivists Sherry Williams, Elspeth Healey, Karen Cook, Becky Schulte, Letha Johnson, and Deborah Dandridge, who helped select and provide context for items from the collections they curate. Catalogers, manuscripts processors, conservators, digitization experts and always changing brigade of student workers–I am especially grateful to the student workers. Our colleagues in KU Libraries Office of Communication and Advancement: Nikki Pirch, whose beautiful graphics have enriched everything about the 50th, and Bayli Rindels, who supported me throughout the planning for the event, along with LeAnn Meyer, Leah Hallstrom and Courtney Foat, under the leadership of Christy McWard, who arrived at KU Libraries only to learn her new colleague had an ambitious plan already in place; she and her team jumped in with both feet. 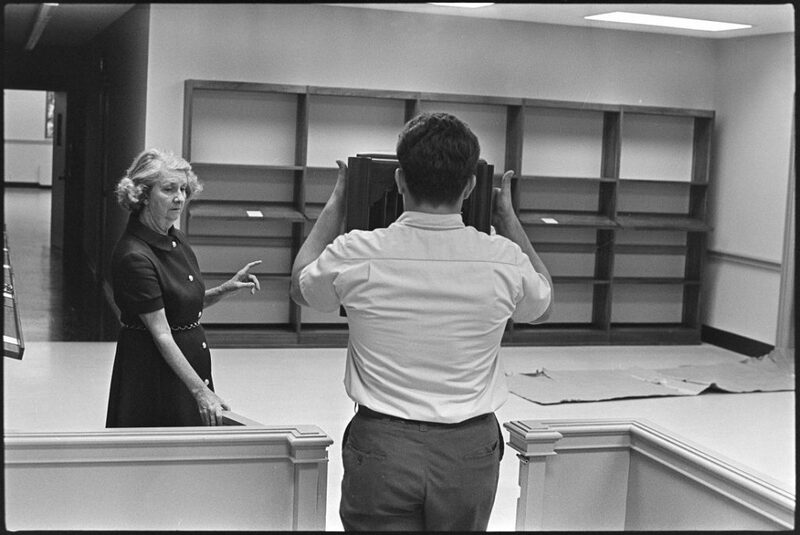 Fifty years ago, Spencer Research Library was abuzz with activity and final preparations ahead of the November 8th dedication ceremony. 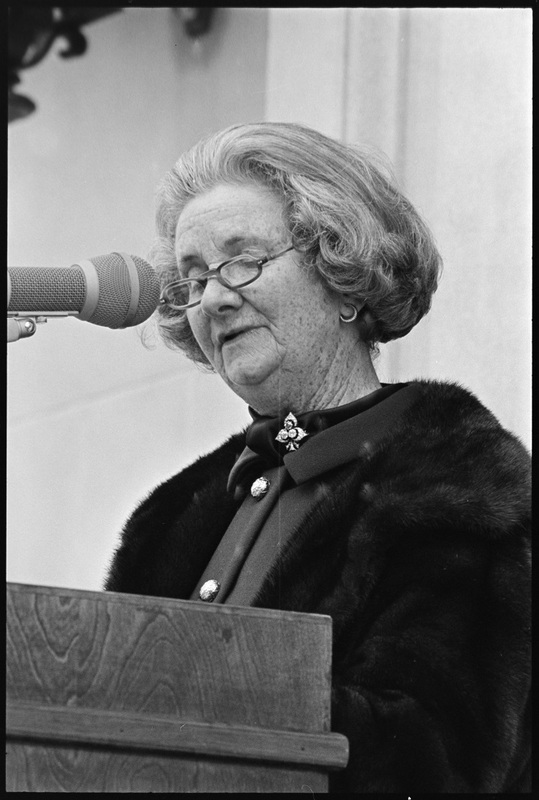 the hand of Mrs. Spencer can be seen in every aspect of the library, university officials agree. Almost every detail was her personal decision. She went over the plans with the architect and supervised the finishing of the building in its later stages and its furnishings. 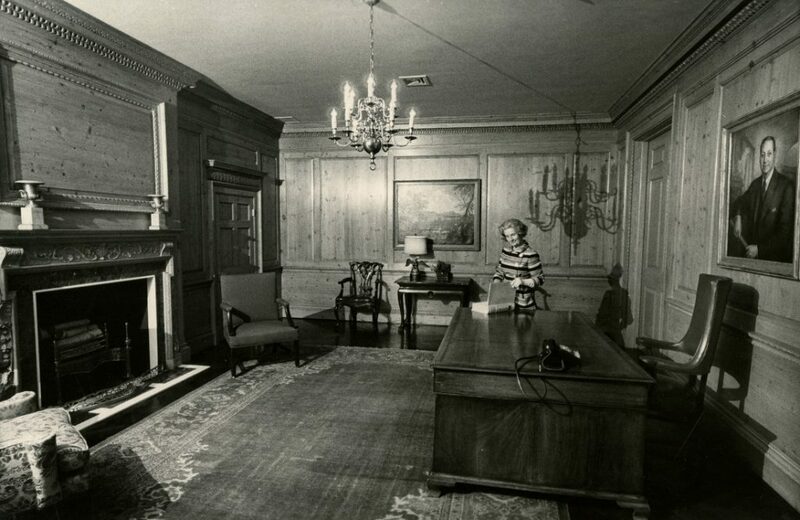 Mrs. Spencer waxed and polished the furnishings and the floor of the Spencer Room [memorial office] herself before the opening and created floral arrangements for many of the rooms” (12). 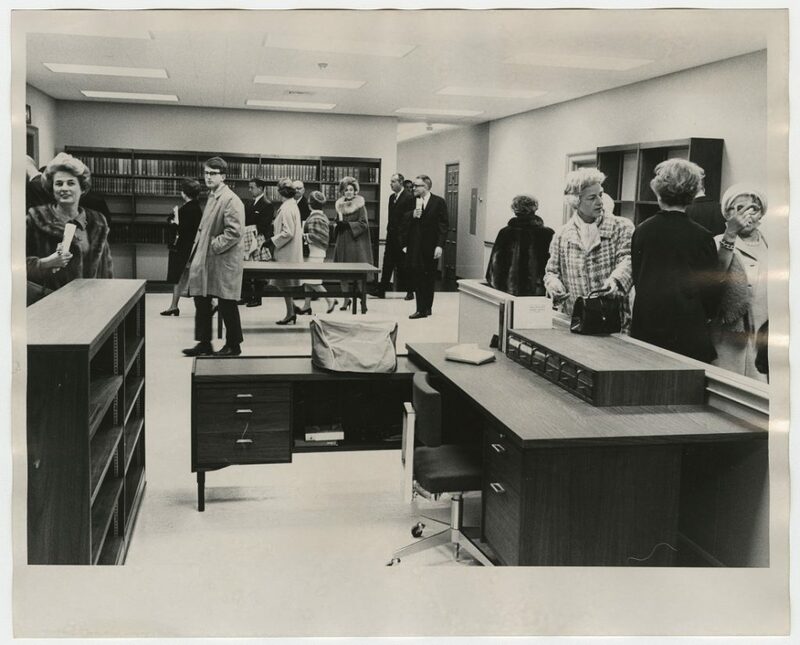 furniture (bottom) at Spencer Research Library, 1968. University Archives Photos. Spencer Research Library: Interior (Photos). Click images to enlarge.